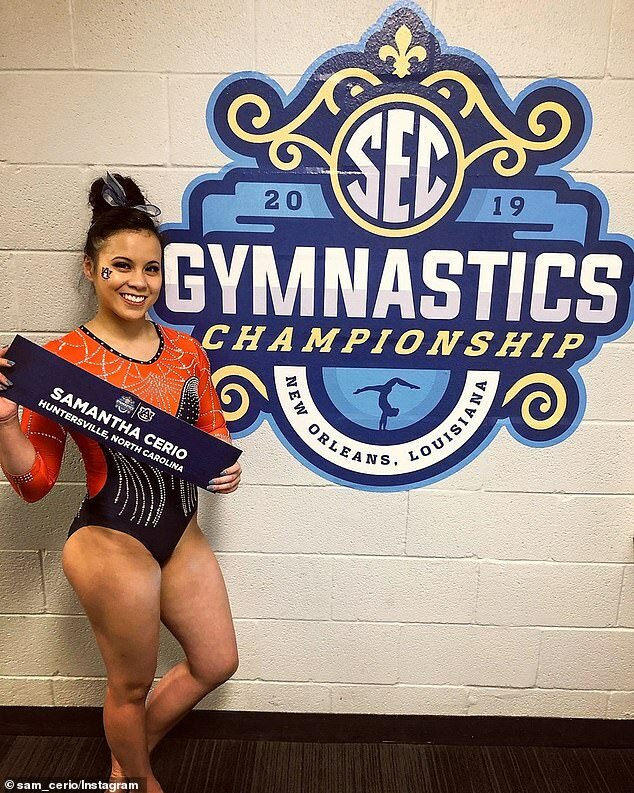 Samantha Cerio is a Star Gymnast at Auburn University and she went viral for all the wrong reasons. 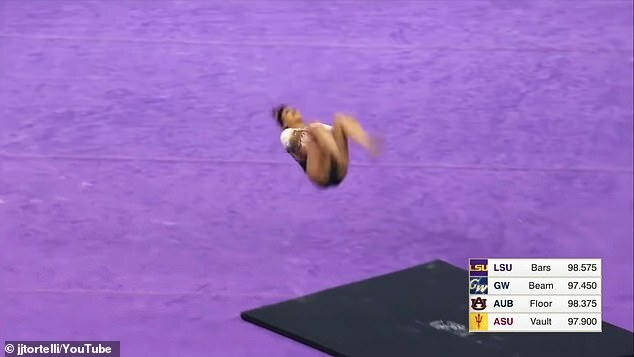 She was making her first pass during her floor routine this past weekend when she fell during a Handspring double front flip on the landing. 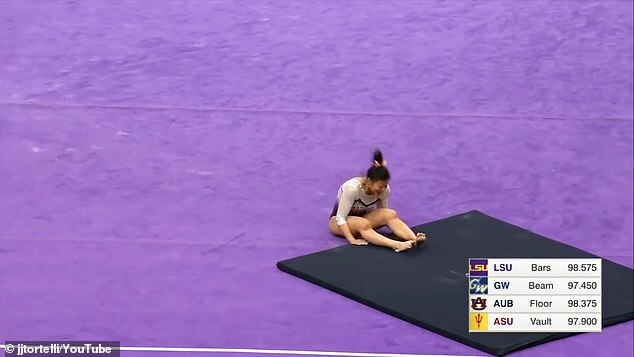 The crowd gasp at the terrifying sound of the legs snapping and her screaming out in agonizing pain.